An urban extension to the west of the historic city of Wells, on which Tetlow King Planning (TKP) advised for over seven years, was approved by Mendip District Council. 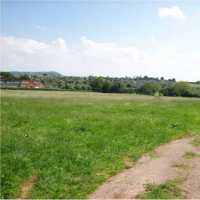 The development proposal by Strategic Land Partnership was for up to 160 dwellings, a seven form primary school and associated public open space, landscaping and infrastructure. The proposals were carefully promoted through the Local Plan process through at least three iterations in which we were able to demonstrate that this was one of the least constrained greenfield sites around Wells. Over the years there had been extensive dialogue with planning officers. The proposals will deliver substantial benefits for Wells including 25% affordable housing and the provision of the primary school as requested by Somerset County Council. TKP managed a comprehensive professional team including Tetlow King Architects (now known as Thrive), WSP, Enderby Associates, Cotswold Archaeology, Robson Liddle, Landmark Trees and Sunflower Ecology/Phil Quinn; to ensure that the highways, landscape, heritage, drainage, ecological and other technical issues were all fully addressed.